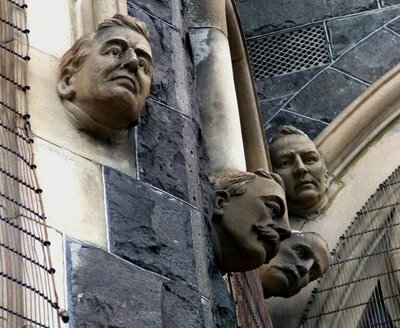 its normal to see gremlins, ghouls, saints and people of historical religious importance poking their heads out of church walls but whats with the ye olde bankers on this church in hawthorn??? moments later i found this outside the hawthorn recreation centre. SWIM OR DIE!